It’s time to carry and protect your wakeboard setup in style! Designed to fit any size wakeboard with bindings attached, it also features an added accessory pocket for extra storage. Made from a bomb proof reinforced nylon exterior, Grayne then throws in a layer of padding to the base of the bag for extra protection. 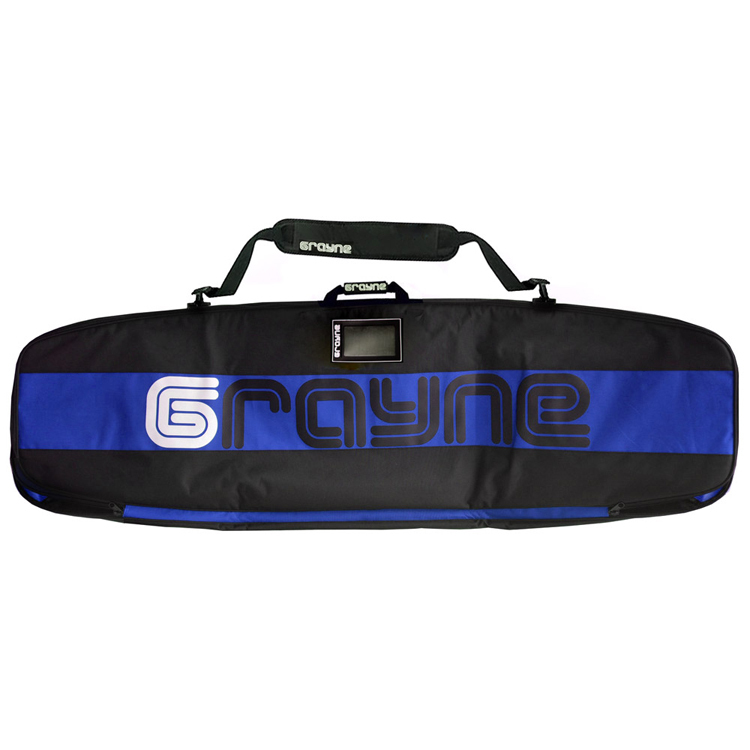 The Grayne Premium wakeboard bag also utilizes both a velcro handle as well as a removable padded shoulder strap for multiple carrying options. Grayne even added a luggage tag window for quick and secure identification of your setup! And, as with all Grayne products, it carries a three year warranty. This truly is the only wakeboard bag you will ever need.